This year’s Festival du Voyageur may have broken attendance records, organizers revealed Monday. While the official numbers aren’t in yet, it’s believed the mild weather and diverse programming contributed to a record-breaking amount of visitors to the 43rd annual Festival. A new opening celebration was part of the festivities this year, as well as the comeback of Men in Kilts at the Voyageur Trading Post, the first Louis Riel Look-A-Like Contest, the 30th edition of the Beard Growing Contest, the Mascot Challenge, the Canot theme night, Rendez-Vous Des Chefs and many shows in the official sites throughout the 10-day celebration. Another highlight was the Award of Excellence for the Promotion of Linguistic Duality that was presented to the Festival at the Bal du Gouverneur on February 18. 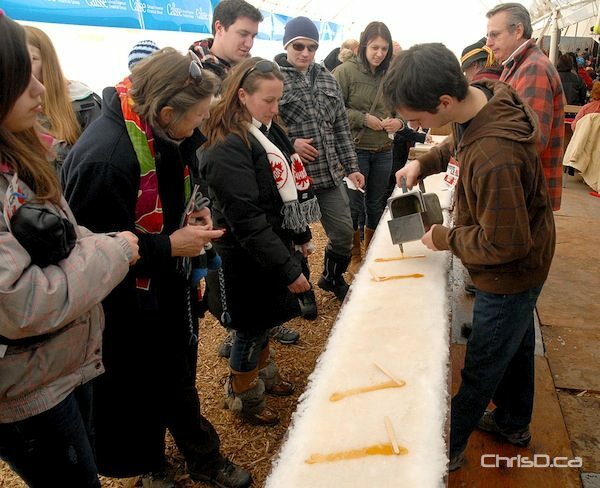 The 44th Festival du Voyageur is set for February 15 to 24, 2013. Read past stories and view photos/video from our coverage of this year’s Festival du Voyageur.